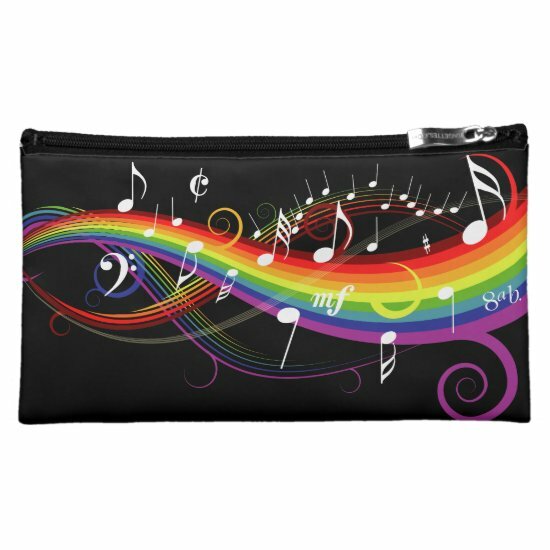 Rainbow piano keys and musical notes with glitz and glamor, vintage sheet music and a treble clef with bling. 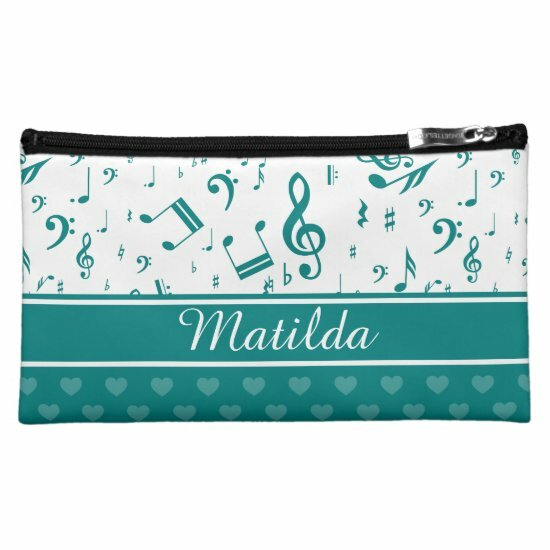 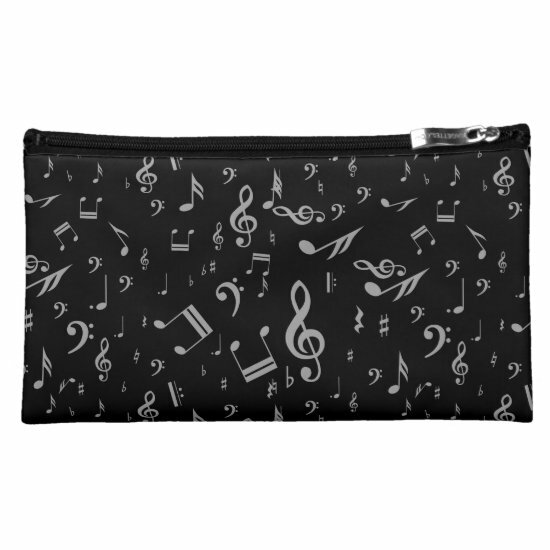 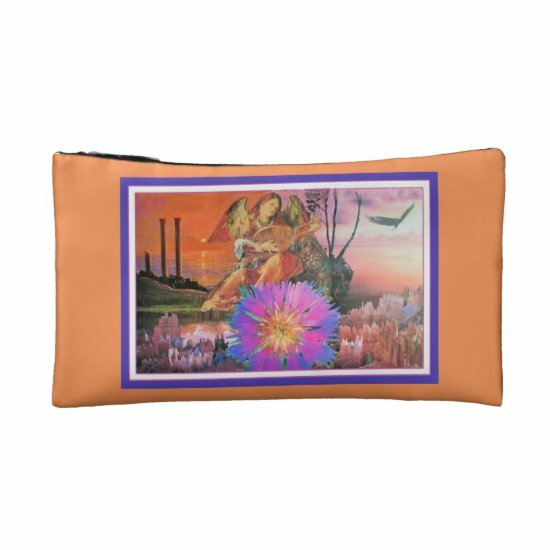 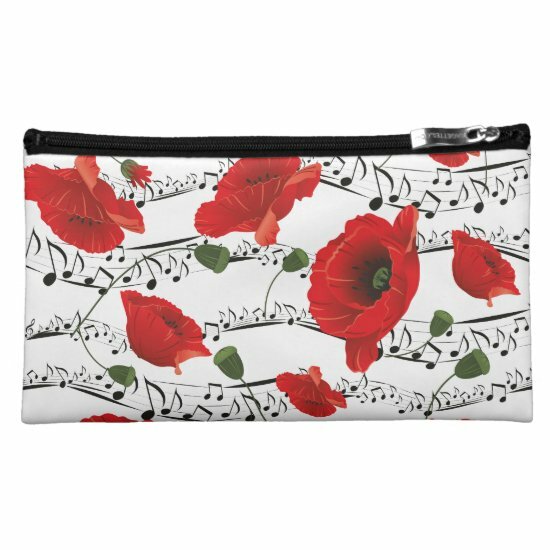 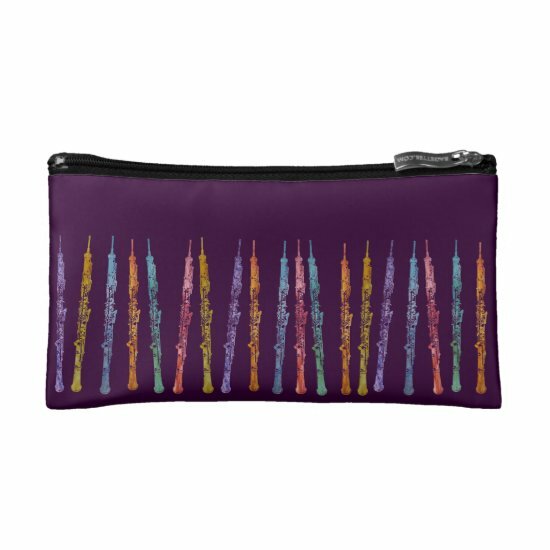 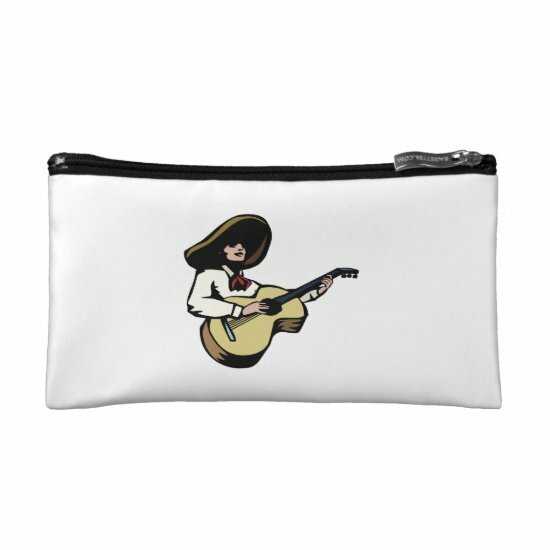 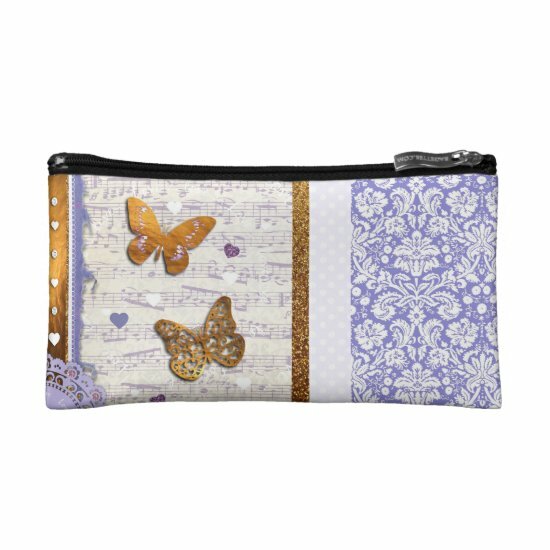 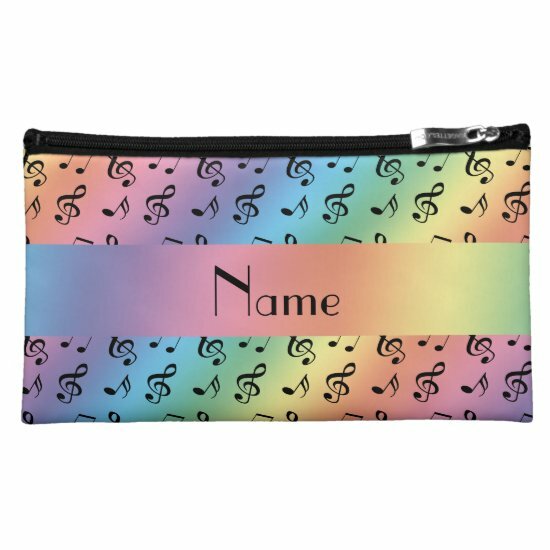 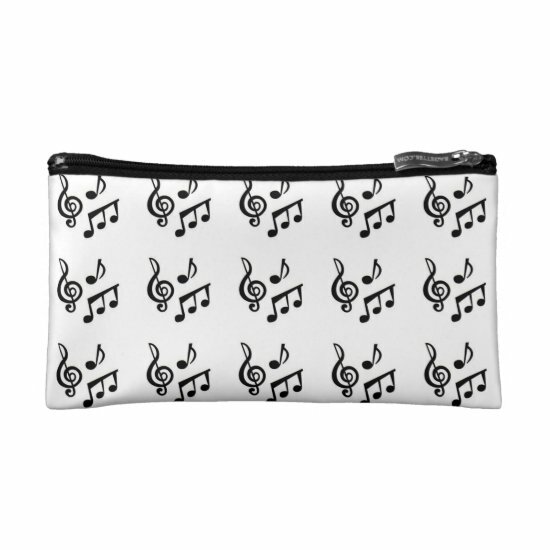 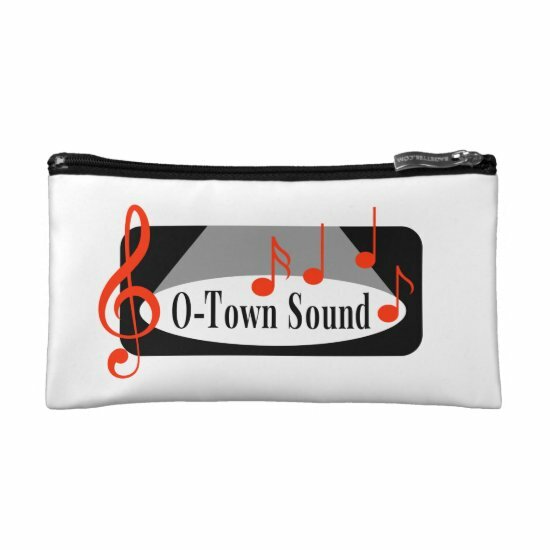 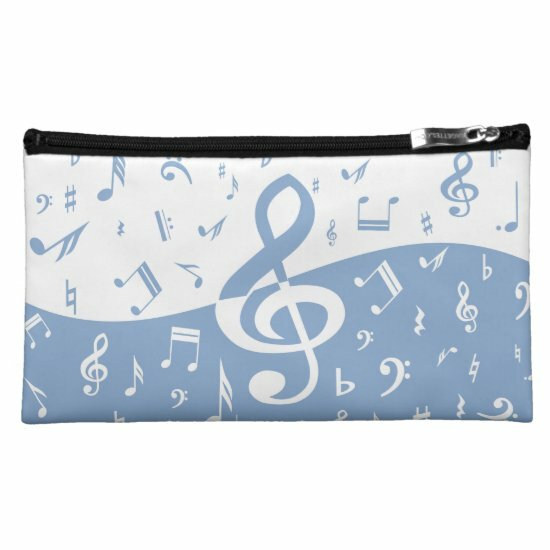 These featured cosmetic cases with music themed designs are perfect for musicians and music lovers - stylish for day and elegant for night and on those long travels. 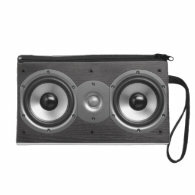 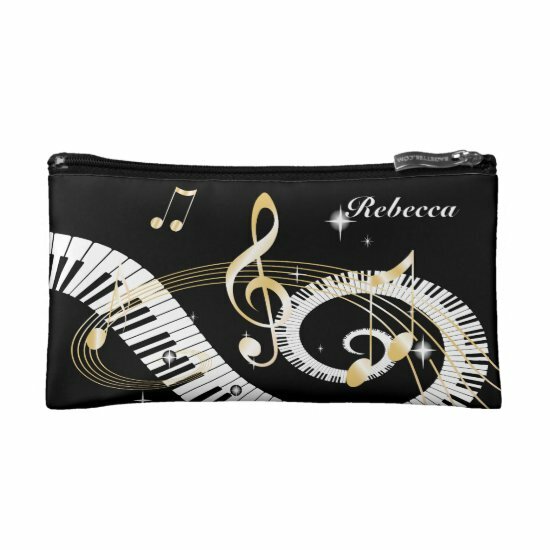 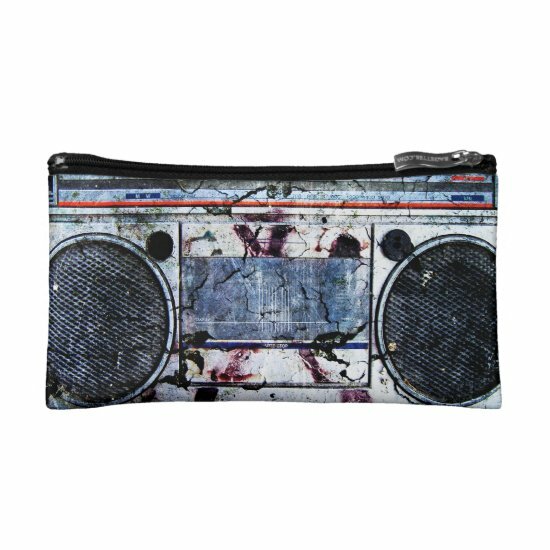 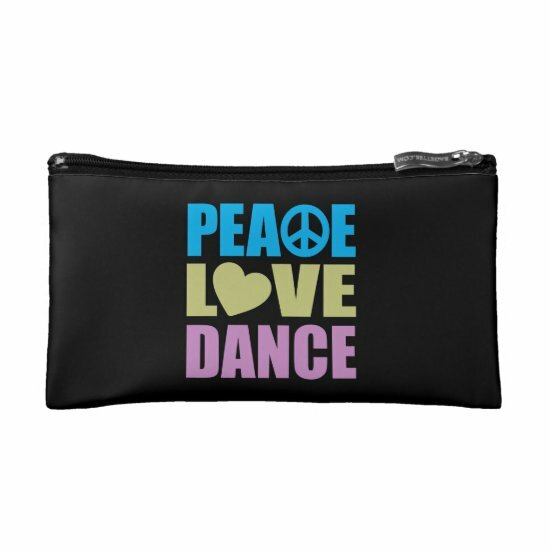 A unique music themed large wristlet bag featuring speakers in a metallic printed effect. 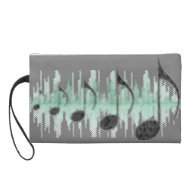 A fun design for the person who loves listening to the beat. 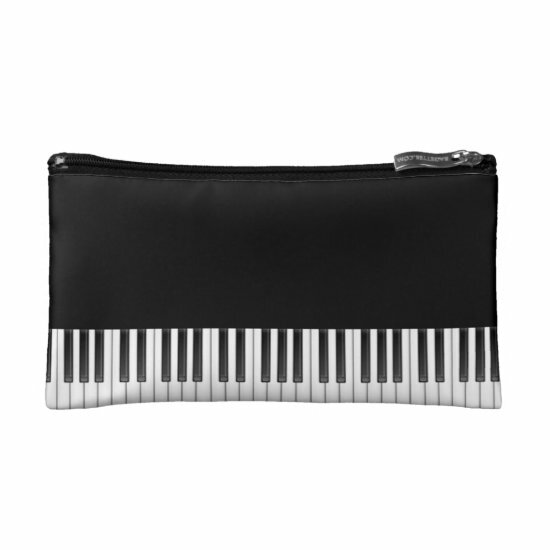 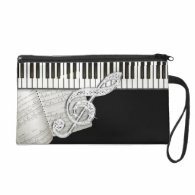 An elegant wristlet featuring vintage piano sheet music, piano keys and treble clef. 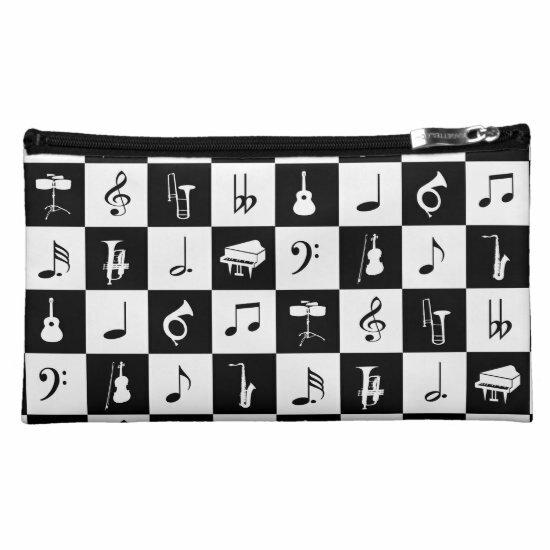 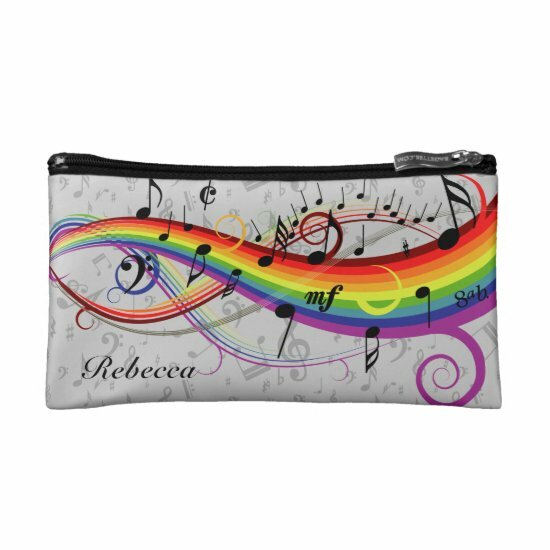 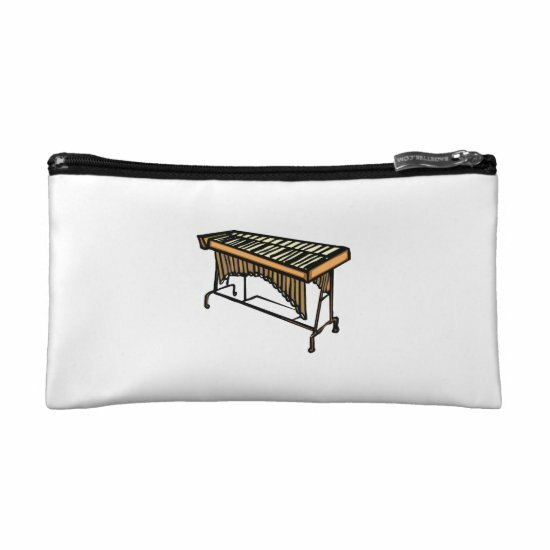 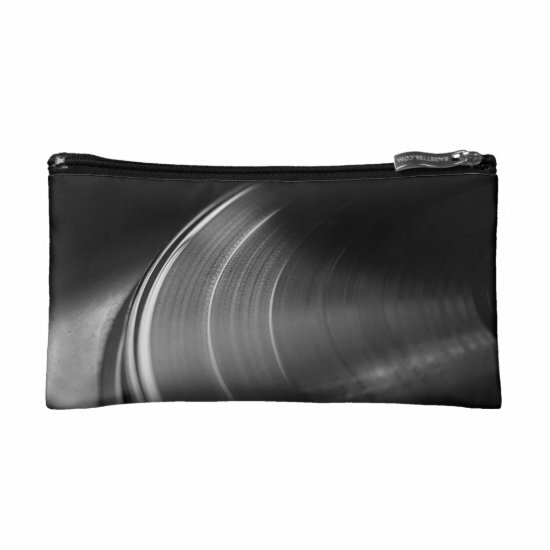 This bag makes a great gift for the music lover in your life. 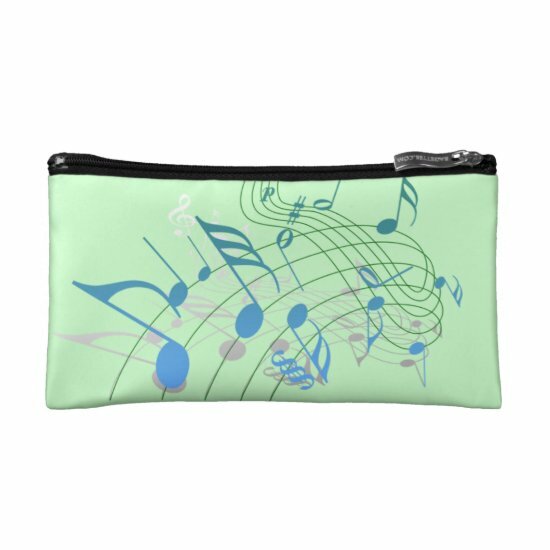 Show your love of music with this large wristlet bag featuring a string of musical notes in black on a green and white soundwave on gray. 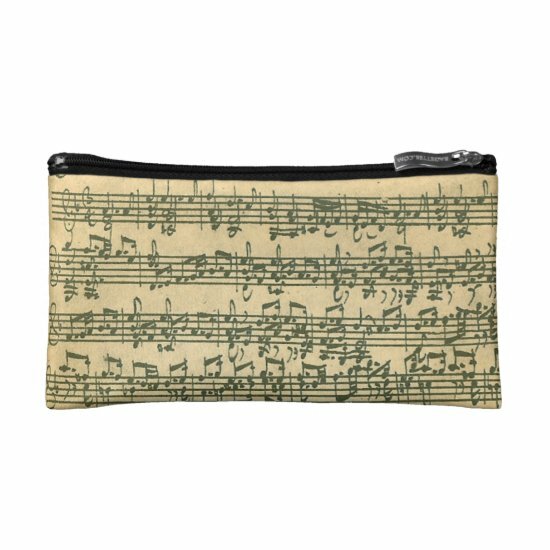 A custom wristlet bag with a modern gold ribbon and vintage sheet music. 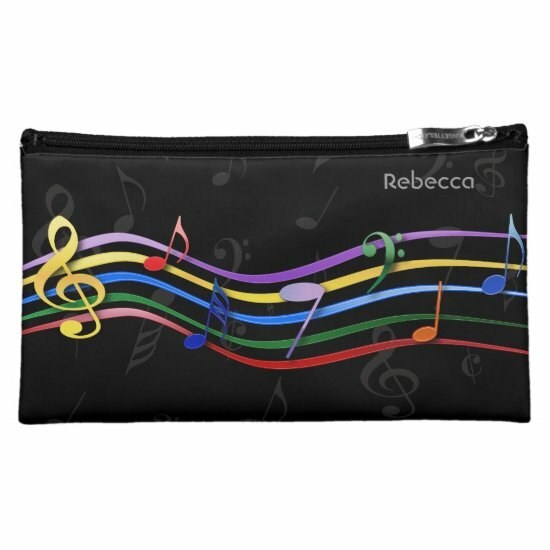 Add your own text or name to create a personalized music wristlet. 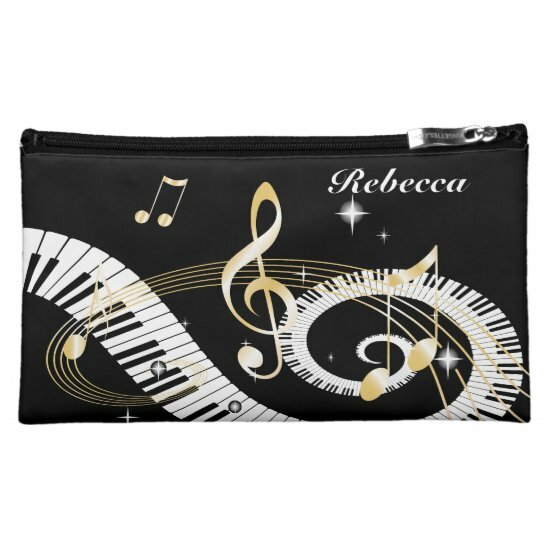 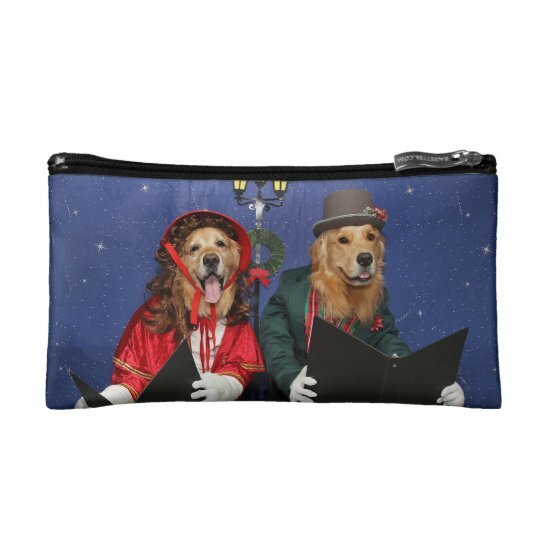 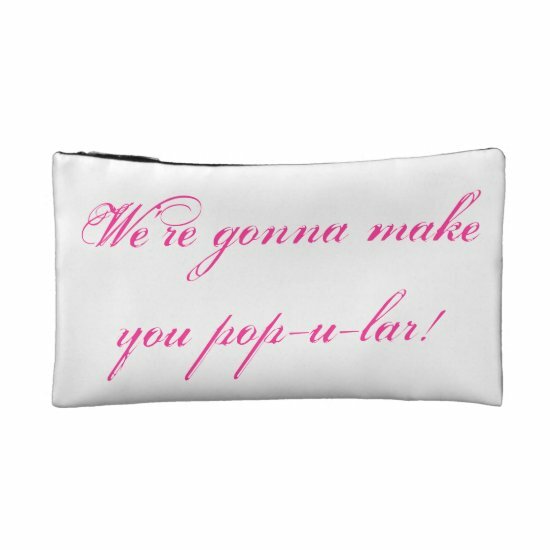 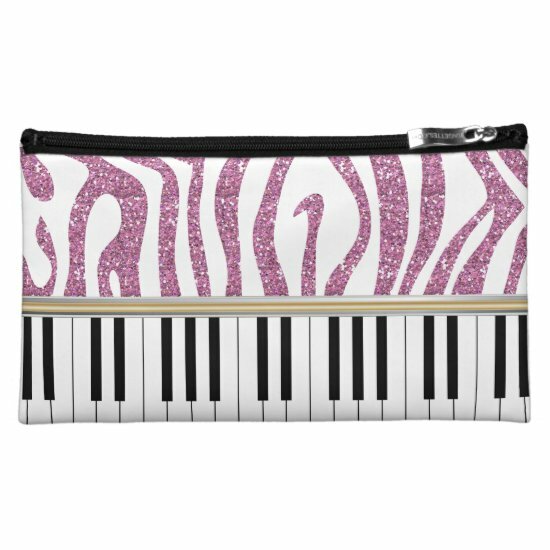 Perfect cosmetic bags for a night on the town, featuring music themed designs to suit all styles and ages. 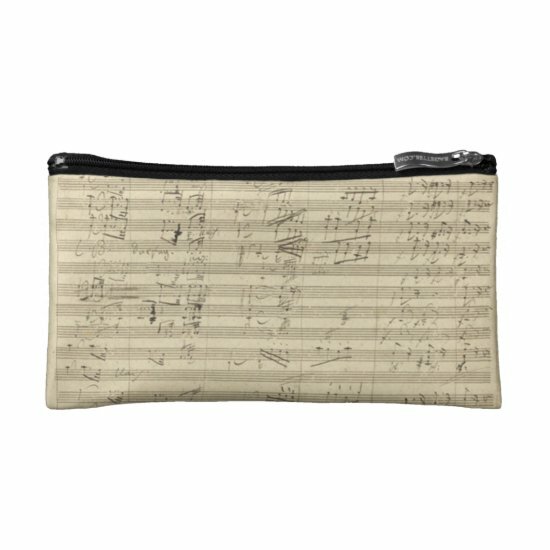 Elegant, stylish, hip and unique bags for all occasions.